As the field of plastic surgery has grown, more and more men are seeking natural and masculine appearing neck and facial rejuvenation surgery. 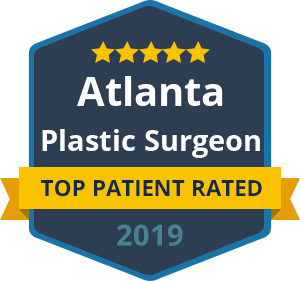 Dr. Talei, a dual board certified facial plastic surgeon has become a specialist in primary and revision necklift and facelift surgery for men, by primarily using the SMART deep plane neck lifting technique among other procedures. Many surgeons encounter difficulty in the rejuvenation of the male face and neck, as the most commonly used techniques in women don’t work very well in men. Standard SMAS plication techniques typically fail to show any durable or noticeable natural change in the face or neck. This is due to the heavier quality of the tissues encountered in men. For this reason, Dr. Talei has developed and modified a technique much more suitable for men. It provides masculine, natural, superior and long-lasting results to both the face and neck, or just the neck alone. The SMART deep plane technique differs significantly from the majority of necklifts performed in the country. The most commonly used techniques alter the hair line, put significant amounts of tension on the skin, cause noticeable scarring around the ear and hairline and only temporarily pull the SMAS and platysma layers, solely using suture pull. The SMART deep plane technique is a vertical vector, modified and extended deep plane face and neck lifting procedure. It focuses much more on muscle and facial release than on skin pull. With this method, less dissection is performed directly under the skin and more is performed between the muscle layers. This allows for the most natural and effective repositioning of drooping and sagging tissues in the face and neck. Dr. Talei has the ability to use nearly any necklifting technique available today, but he almost always elects this technique because of the reliable, reproducible, durable and superior results achieved. The Grecian urn necklift is a direct neck lift performed using the combination of elliptical excisions resembling a Grecian urn or hourglass, platysmal muscle tightening, fat excision (as needed) and z-plasty techniques. This type of lift is most suitable for older men with a heavy “turkey gobbler” necks. They are desiring a quick and easy fix for their neck drooping over their collar and drawing too much attention in photos. The procedure can easily be performed using local anesthesia and allows for a rapid recovery. The platysma muscle is the muscle that drapes from just over the jawline all the way down over the collar bone. This is the muscle which envelops all the deeper structures of the neck and is also the main cause of banding in the neck. A platysmaplasty is a procedure which can easily be performed under local anesthesia in order to tighten the muscles in the neck and under the chin. If necessary, this can be combined with lateral or mid-line skin excision techniques to remove redundant skin. The result is a smoother, younger looking neck and jawline with very little downtime. Liposuction under the chin and in the neck, is a very quick and easy way to improve the neck, which may have developed a fatty or heavy appearance over the years. Tiny laparoscopic incisions are made in hidden areas, and microcannulas are used to achieve the most natural results. The procedure can be performed under local anesthesia. It can also be combined with a face or neck lift to provide more refinement of the neck and jawline.